As we all know, life is easier when you “go with the flow”, and this principal certainly applies to menu planning. You can establish your flow in a couple of different ways. First, say boneless pork loin is on sale. For me that would be the primary protein purchase for the week. I don’t know about you, but I don’t want to eat the same boring leftovers all week long. I’ll make that main menu ingredient flow into variations on a theme, scattered among other entrees. Sunday Pork Roast might be a good start, and the leftovers make good sandwiches, but branch out a little. Before you cook that roast cut off a few chops for Pork Cutlets Marsala and stash a batch of Grillades away for later. You’ll be glad you did. Next, try identifying common ingredients. Get out your chosen recipes for the next few days and check. Do chopped onions show up a couple of times? Chop them all now and divide into the appropriate quantities for storage. Done! Planning the same side item but with different entrees? Make a double batch of those Quick and Light Cheese Grits the first night. Done! What about your House Salads and other green veggies? Unless you have a large family who might finish off all you prep and cook in one session, think about how your meals and their ingredients can flow from one day to the next. Plan ahead. 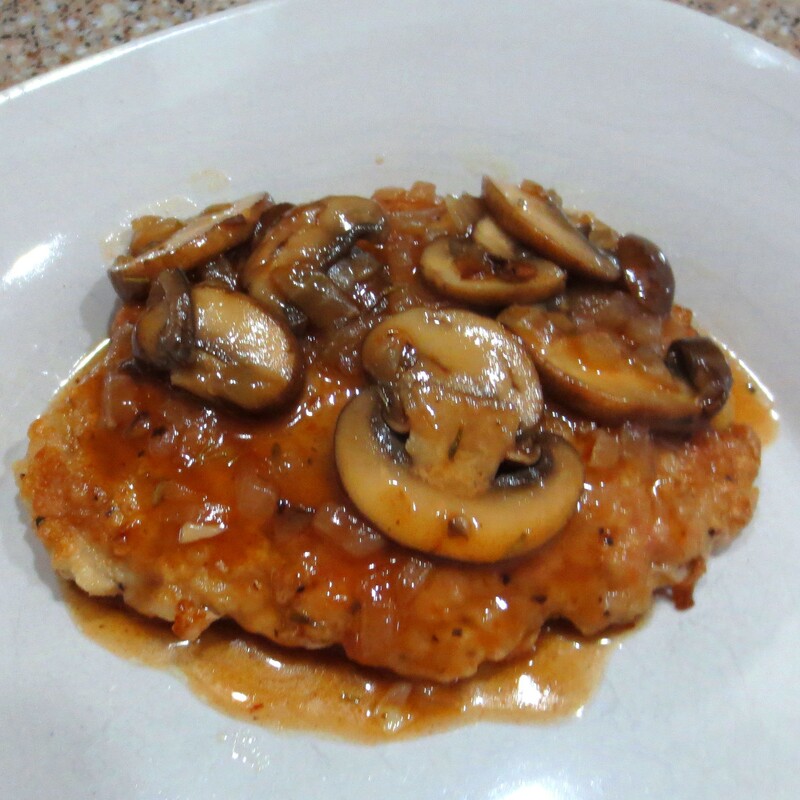 I actually started the week off with a new concoction, Pork Cutlets Marsala. As many of you know, I have a low threshold of boredom, particularly in the kitchen. That’s why there are now close to 600 recipes on this blog. Anyway, using pork, rather than chicken in the usual Marsala recipe seemed like it might be worth a try. It’s most definitely a keeper! This dish was very simple to prepare and the cutlets were fork tender. The sauce was the perfect blend of mushrooms and that unmistakeable Marsala wine. So good! I must have really been going with the flow this week. Meatless Monday brought new recipe number two. 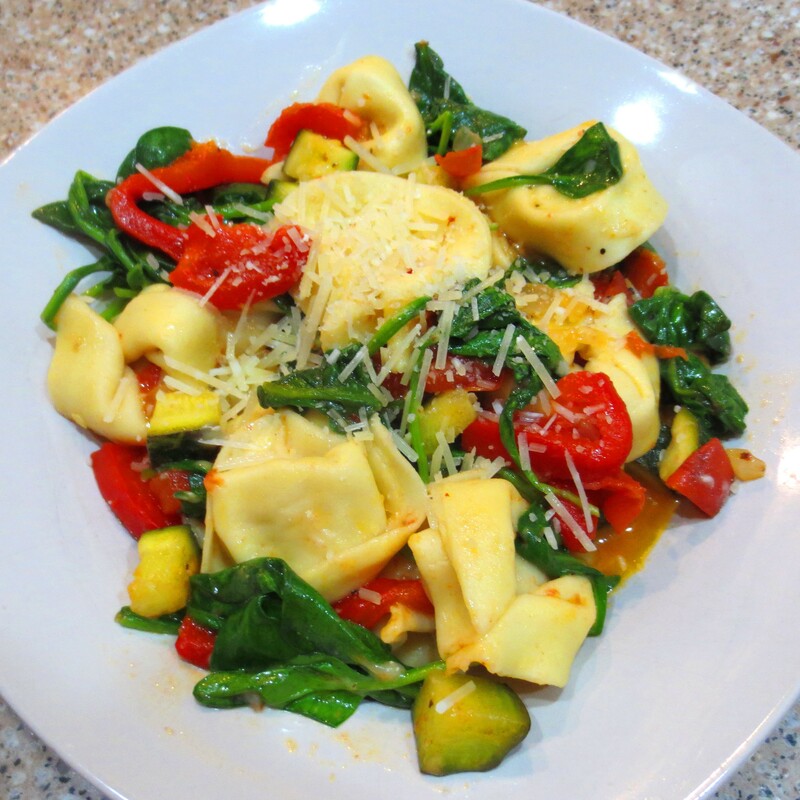 Three Cheese Tortellini with Roasted Red Pepper, Zucchini, and Spinach was a keeper as well. Even Michael, who only suffers through meatless meals to please me, complimented this dish. It too was a quick fix and most satisfying. So lets keep going! Next up, Grits and Grillades. Grillades are one of my favorites when it comes to batch cooking. They freeze so well. 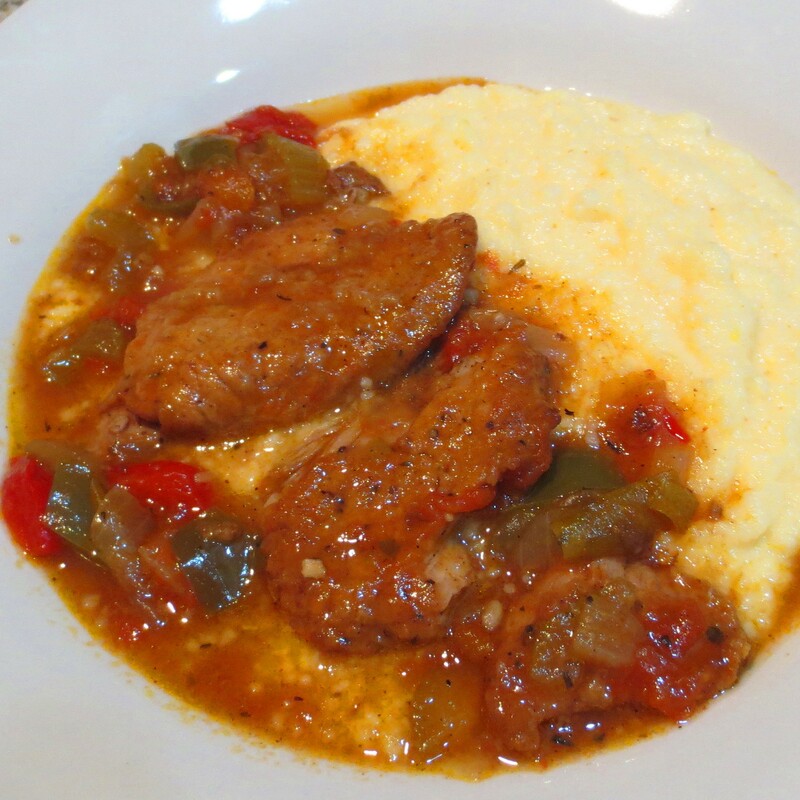 Grillades are a slow simmered, slightly spicy pork of Cajun origin and, in my house, must be served over creamy cheese grits. Those grits can be frozen, too. Every year, Michael and I celebrate the anniversary of our first date. This year was number forty three! Gosh, time does fly! 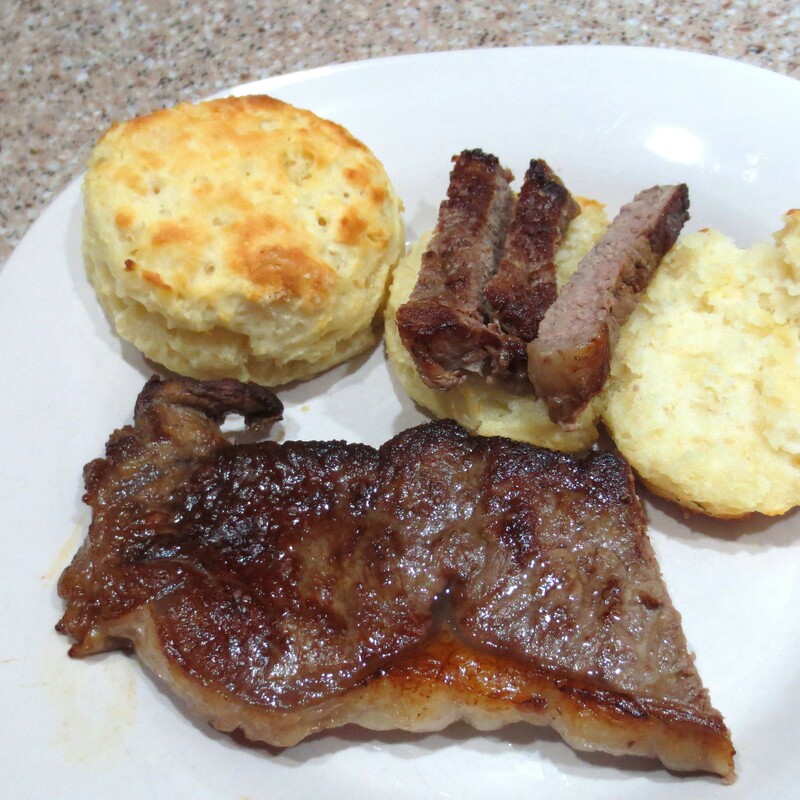 Our first dinner together was steak and biscuits, which I tried to recreate this week. The biscuits were easy. I make my Light and Flaky Biscuits all the time. The steak, however, was more of a challange. Michael is the steak griller in our house, but on Wednesday he stayed busy with a project of his own. I decided to try to pan sear the steaks, which I’ve never done before. Well, cooking is a learning curve and I’ve got some learning to do. Those steaks were definitely over-done. Anyway, they were nicely crusted and had good flavor. They weren’t too tough, either. I think the steak was cut too thin to start with, but I just let them go too long. Maybe I’ll turn the steak grilling back over to Michael. Sounds like a plan to me. Thursday we continued to go with the flow of celebration. 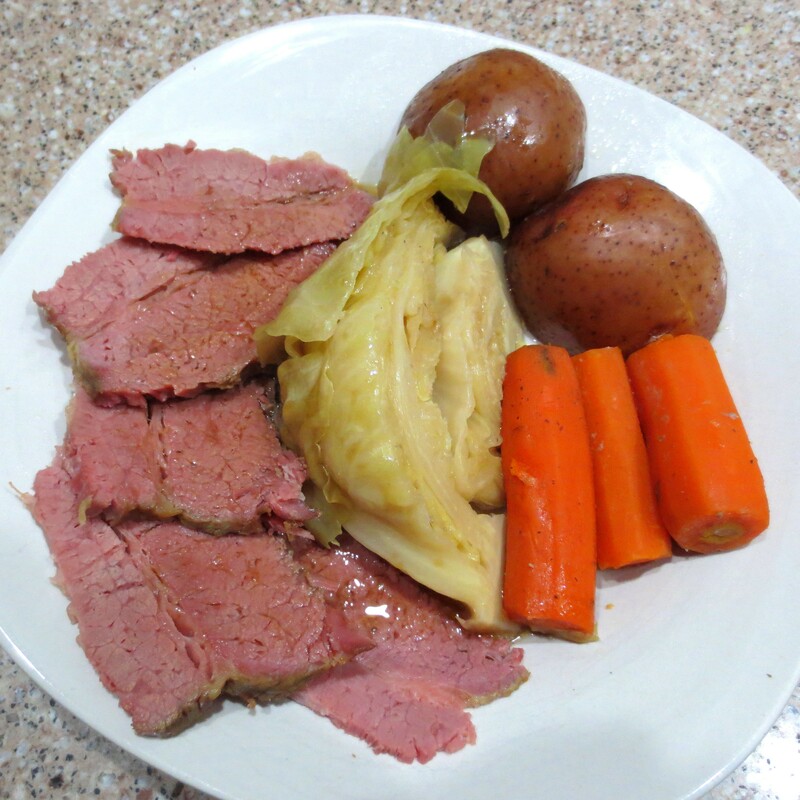 It was Saint Patrick’s Day and a Slow Cooker Corned Beef Dinner was the only thing that would do. There are some things that are just a tradition. I have an idea in mind for the leftovers. I’m going to try some sort of corned beef hash wrapped in cabbage leaves like stuffed cabbage. We’ll see how that flows. Along with the corned beef, which by the way I heard is not an Irish tradition at all, you have to have something green for dessert. 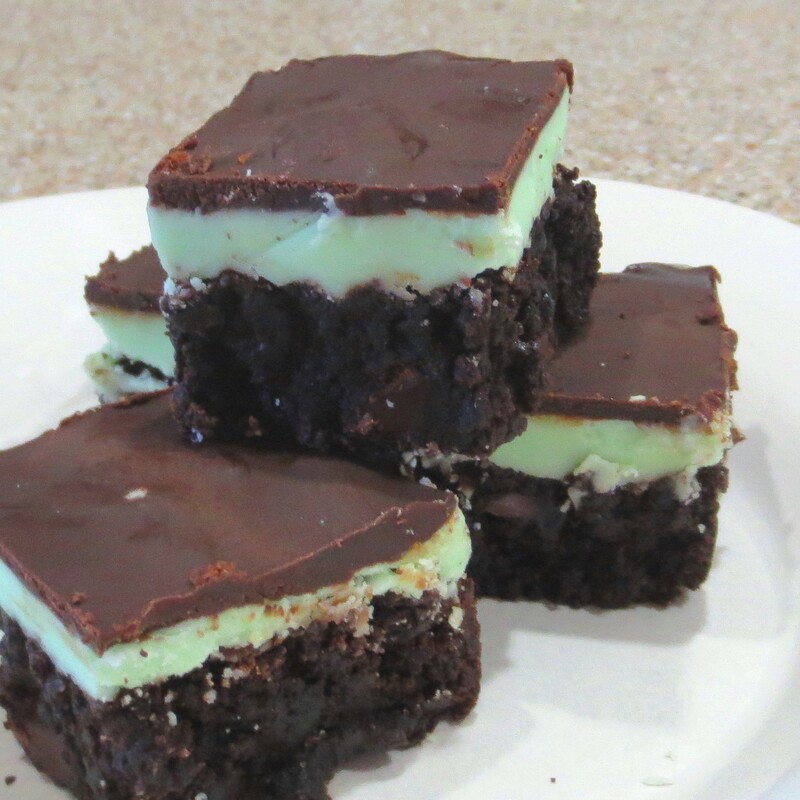 This year’s choice was ooey gooey Dark Chocolate Mint Brownies. Michael is a big fan of Girl Scout Thin Mint Cookies, so I thought he would enjoy these. He didn’t. Perhaps I got a little heavy handed with the mint. Who knows? Friday’s dinner was very, very late for reasons I’ll explain in a minute. 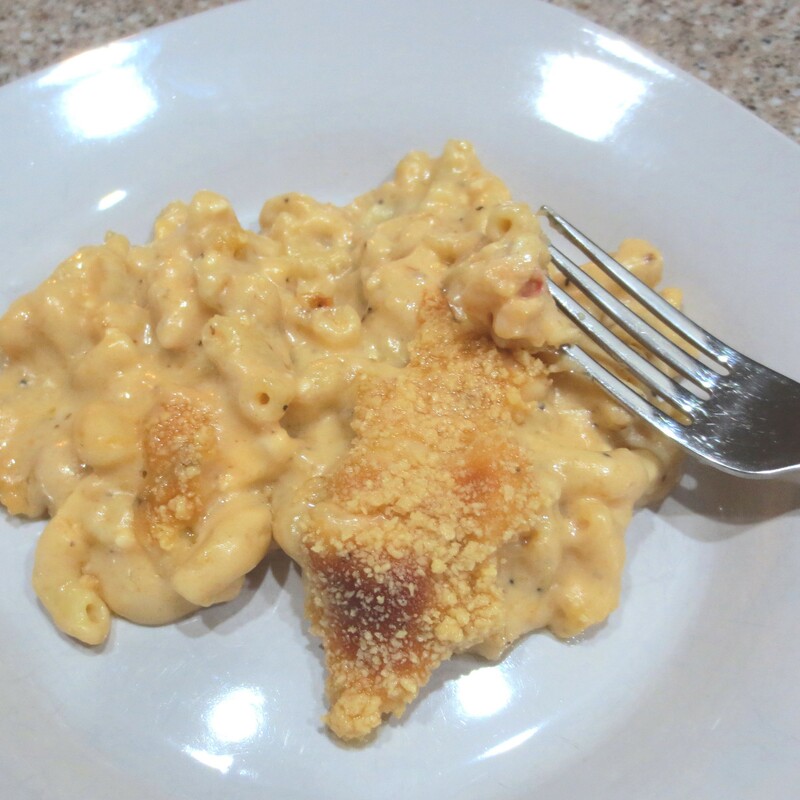 I tried working up another new recipe inspired by Ree Drummond for Lobster Mac and Cheese. Fontina cheese can be expensive and hard to find and we don’t care for the powdery Parmesan in the jar with the green top or goat cheese, so I want to switch her cheeses up a bit. My first cut has potential, but still needs some work. It had too much cheese and too little lobster flavor. I’ll have to try again and get back to you. And now, a sad tale with a happy ending. 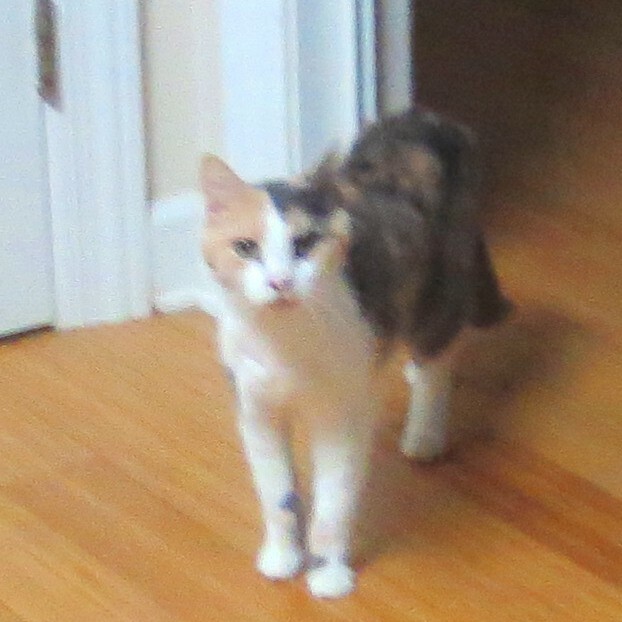 Friday’s dinner was late because we had to go into the cat rescue business. Our cat Lily has issues. Lily showed up under our window at about 3 1/2 weeks of age and we have no idea how she got there. We refer to her as our “imaginary cat” because the odds are you will never see her. Her domaine is our walk-in closet. Anyway, Thursday Michael was cleaning the carpet in there and had the cover to the heat duct off. While we were waiting for the carpet to dry one of the dogs scared the dumb cat. You guessed it…down the duct she went! To make a long story short, after more that 24 hours and many failed attempts to lure her out, Michael had to start taking the duct work apart. He finally got her out of a tube about the size of a drier vent. She’s fine now, but I can think of all sorts of things I’d rather do on a Friday night! This entry was posted in Uncategorized on March 19, 2016 by lizziesmom2012.